After what seems like a really long winter, it is finally starting to feel more link spring. If you look around you can see the bulbs starting to poke through and open and the buds on the trees are starting to come to life! 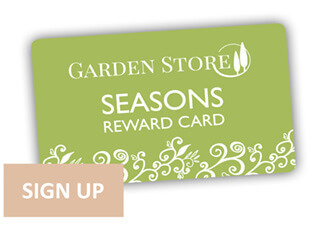 We want you to welcome in the spring with Garden Store and start thinking about all of the things you can grow in your garden this year. We will keep you updated here on our blog with all our tips and ideas for simple thing to grow. 1) Download our colouring page by clicking the link below. 2) Colour it in. Get creative and show us your artistic talents! Closing date for all entries is Monday 30th April 2018. For full terms and conditions see bottom of the page. Our Fantastic Garden Store Get Gardening Kit! Our lucky winner will win one of our windowsill garden starter kits! You can grow a number of delicious edible plants in a container outside or on a sunny windowsill and his kit has everything you need to get started! 1. The colouring competition is open to children living in the UK aged under 14 years old. 2. To enter the competition please colour in the sheet using the download button above. 3. To enter the competition Please take your entry to your nearest Garden Store and hand it in to a member of staff at the tills. 4. Please fill in the form on the reverse of the Page. 5. We must receive your entry by Monday 30th April 2018 by store closing time. 6. Garden Store employees family members may not enter the Competition. 7. Our blog editor will pick the winner along with an independent judge. 8. Winners will be notified by email.